Moisture build up in the home can happen in any room, or in any space. Moisture control issues can lead to the growth of mold and mildew and can even damage your house by allowing wood rot and/or structural damage to set in. These growths can potentially cause a variety of health problems for susceptible individuals. When addressing any interior mold issue, the moisture source must be addressed to provide a long term solution. Poor attic ventilation allows moisture to become trapped, elevating the moisture levels, and potentially causing attic mold growth. As with any interior mold issue, locating the moisture source is key. The moisture control experts at AdvantaClean of Coastal Carolina will diagnose your attic moisture and mold issues. They will recommend and implement corrective measures and ensure you have proper attic ventilation. 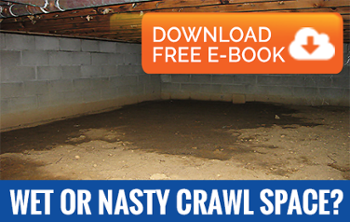 Lack of crawl space moisture control can lead to high levels of moisture in the wood framing of your crawl space, creating the perfect environment for mold to grow and thrive. At AdvantaClean of Coastal Carolina, we have the experience and skills needed to fight moisture and mold and to prevent the problem from happening again. AdvantaClean can diagnose your Wilmington moisture control issues by properly identifying, recommending and implementing corrective actions. Our Wilmington crawl space moisture specialists can address the moisture source from simple repairs to comprehensive vapor barriers, crawl space ventilation systems and crawl space dehumidifier installations. Call us today at (910) 370-8420 to find out about our wide range of services and how we can help you get rid of dangerous moisture!